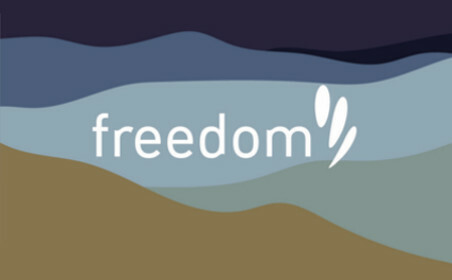 The freedom Gift Card is the perfect present for any occasion: birthdays, weddings, anniversaries, housewarmings, or as a unique way to say thank you to clients staff and family. A freedom Gift Card offers redemption on an extensive collection of home furniture, with a range of outdoor and indoor furniture to suit any taste and style. From freedom you can choose to redeem egift cards on furniture and home accessories for the living room, bedroom, kitchen and dining rooms plus a large range of home decor for outdoor living. Small details can take a home from a place you live in to a place you love coming home to. Whether you’re moving in or redecorating freedom has a massive range of products including wall decor, cushions, throws, mirrors, beds frames, dining chairs, office chairs and much more. A gift voucher from freedom can to help find fresh, inspiring ways to make the most of a space. Doesn't matter if you or your giftee is looking for a new statement sofa or something small to finish a room, a freedom Gift Card means you can redeem pieces big and small for any room in the house. At Prezzee, we want to make gifting easy, simple and digital so you can purchase a gift voucher from home, work or your mobile phone, anywhere you are, at any time. Do you also send Gift Cards for work? Then check out Prezzee Business, Prezzee Business is for those that regularly send Gift Cards in bulk for work. Prezzee Business is great for employee rewards, acquisition and retention strategies and give you the ability to customise and co-brand your Gift Cards whether you are sending them clients, customers or as corporate gifts.